MARSHALL, Miss. (CitizenWire) — The Missouri Alliance for the Development of Entrepreneurship is proud to announce that the Final Round of the Inaugural 2010 MADE In Missouri State Entrepreneurship Competition will occur at the Missouri State Fair on August 19th, 2010. The event will include a trade show – open free to the public – which will highlight the new businesses and their accomplishments, and winners will be announced during an awards ceremony with cash prizes. The MADE In Missouri Competition is an economic development project that provides new and potential business owners in Missouri an opportunity to put their business ideas up against others throughout the state. The Final Round is the last of three phases in the competition, requiring a business plan and presentation before judges. The competition will be held in the Lowell Mohler Assembly Hall on August 19th, 2010. The tradeshow will run from 10:30 a.m. to 5:00 p.m., consisting of the ten finalists in the competition. The tradeshow is open to the public, and legislators, investors, bankers, and media are invited to attend. The Awards Ceremony will begin at 2:30 p.m., with a keynote presentation on the importance of entrepreneurship in Missouri. 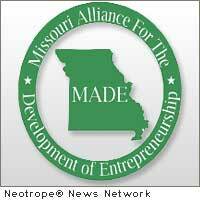 News Source for this Press Release: Missouri Alliance for the Development of Entrepreneurship :: This news release was first issued by and is Copyright © 2010 the Neotrope® News Network – all rights reserved. Originally published on CitizenWire™.